Flash Sale Alert! You can now buy Aqara Smart Home Water Sensor from Xiaomi youpin from Gearbest.com for only $11.99. Hurry up, limited time offer! There are times when one forgets that the bathroom tap has been left running. Just when you remember, the whole bathroom is flooded and the water is starting to make its way into the other parts of the house. Other times, the cause may be a leak in the pipes. Bottom line is the house is flooded. 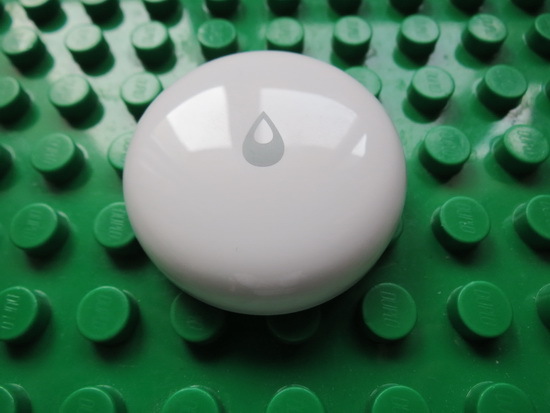 The Aqara Flood Sensor doesn’t prevent the flood but can help you prevent the whole house from getting wet by alerting you in time. 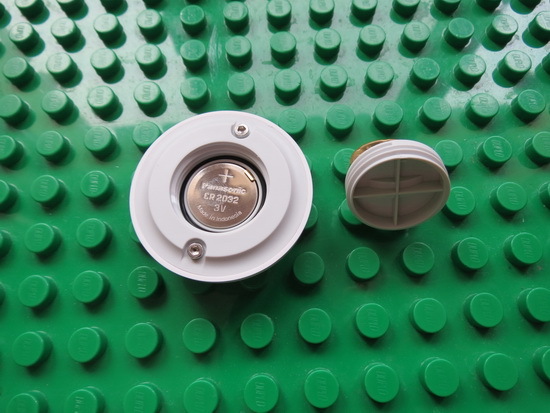 The sensor which has a diameter of 50mm and a thickness of 15mm has probes that trigger a light and sound alarm when the water level reaches 0.5mm. It will also send a notification to your phone when the alarm goes off. A neat feature it has is the ability to shut off the water valve if it is close enough. Do note that in this case, the valve has to be an electromagnetic one. 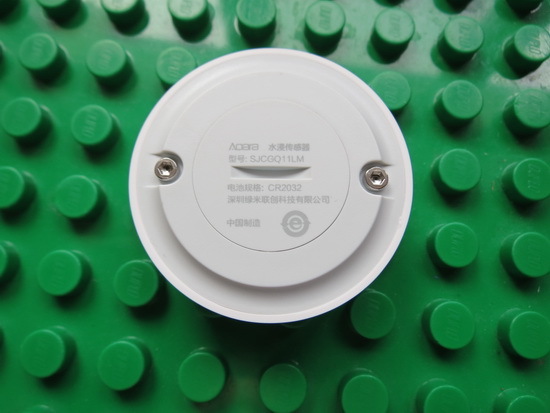 The Aqara Flood Sensor has an IP67 rating and is a low power device. The replaceable battery is said to last as long as two years before needing a replacement. The sensor can be used in a variety of places ranging from the kitchen to the bathroom, or even a warehouse. Operating temperature is put at -10°C to 55°C. – IP67 waterproof rating. Aqara Water Leak Sensor meets IP67 waterproof and dustproof rating. It is guaranteed to work in humid and dusty environments. – Designed to fit everywhere. 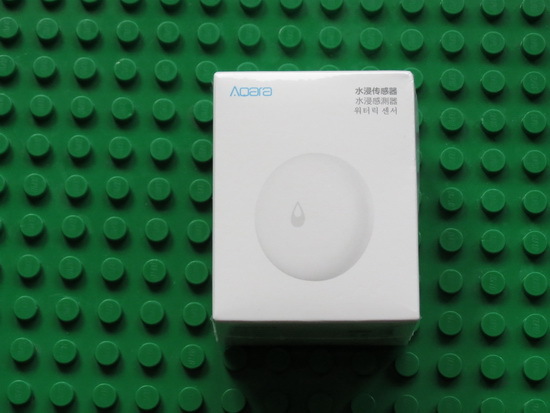 Aqara Water Leak Sensor can be placed anywhere according to your needs, guarding your home with its elegant design. – Smart control in Apple Home app. Works with other HomeKit-enabled accessories in Apple Home app to make your life easier. disconnected, as long as the Hub is powered, automations associated with this product still work properly. – Closes water valve to protect your property. After detecting a leak, the Aqara Water Leak Sensor triggers the Aqara Smart Plug to turn off the solenoid water valve instantly. This scene requires a solenoid water valve and an Aqara Smart Plug. – Alarm when it detects flooding. When the water level reaches up to 0.5mm, the Water Leak Sensor will trigger the Hub to sound an alarm and send a notification to your phone. energy and one button battery lasts over 2 years under normal circumstances. ● This product should be used with a multi-function gateway or air-condition; it works with both AQara ZHWG11LM WiFi Zigbee Smart Gateway HOMEKIT Version and Xiaomi Mijia Smart Multi-functional Gateway WiFi Remote Control Upgrade Version. Xiaomi Mi Home Android Application manages and communicate to smart devices. Currently the Xiaomi Mi Home smart application can be used to connect and control several Mi Home Automation devices such as Mi Plug, Xiaomi Camera, Mi Air Purifier, Smart Home Kit and Mi Air Purifier. With Mi Home You can also control smart sensors for windows and doors / remote control devices using a smartphone / Connecting to other Smart devices Upon returning home, automatically turns on the light, household appliances will start to work, and fragrant coffee will be ready … and it’s not dram technology of the future, it is the reality that came to life thanks to Xiaomi Mi Smart Home Kit. Using various combinations of components, you can automate the Smart devices, remotely manage devices using a smartphone, fast create favorable conditions for your life. Take a few steps to realize our plans into reality. Download Xiaomi Mi Home Android application v5.4.50 for free from Google Play Store. Unboxing Photo Album with Hi-Rez images here. Official website here. All about Xiaomi on xiaomi-pedia.com. Unboxing Photo Album with Hi-Rez images here. Here you can read about the unboxing of Ninebot Segway ES2 Folding Electric Scooter from Xiaomi Mijia.